Sincere condolences to friends, family and all member of NYPD. En nombre de mi familia, nuestras mas sinceras condolencias a todos los miembros de la familia del agente Rafael Ramos. Que la paz que solo Dios puede darles abunde en sus corazones. My deepest condolences to the Family and to all Members-of-Service of the City of New York. Rest in peace, P.O. Liu. It's a tragedy for all of us. All my condolences to both families. Rest in peace. Sincère condoléance à toutes la famille, amis et collègues de travail. Our sincere and deepest sympathy are with the Liu family and extended NYPD family and all who serve and protect. Rest In Peace my Brother! You make us proud! We will never forget what you have done for us! Our thought are for the families, partners and friends, wish you all the courage to past throught this difficult moment. Heroes never die Officer Liu, your bravery will only strengthen your brothers in the NYPD and around the world. God bless you and your family. Lifting you up to the Lord. My heart breaks for your family. My deepest sympathy to family, friends, and those brave men and women in blue who serve and protect selflessly and tirelessly. Many prayers are being offered nationwide for all of you. God bless and protect. The service and sacrifice of Officer Wenjian Liu and his partner Officer Rafael Ramos will never be forgotten! Thank you Sir for your service. Thoughts and prayers for you, you're family and department. Rest in Peace my Brother. I extend my sympathies to the family of Officer Ramos and Officer Liu and to the people of the NYPD. 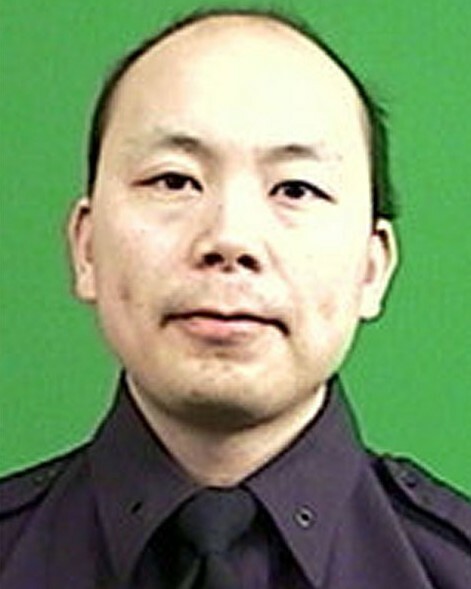 Rest in peace PO Liu. Thank you for serving and protecting the City of New York and her citizens. May your soul be in eternal peace. My heartfelt condolences to Mrs. Liu, the Liu family, friends, and colleagues within the NYPD. Bonjour, mes sympathies aux familles éprouvées. Mes pensées sont avec vous. Sureté du Québec de Rivière-du-loup.